Banana bread sandwiches (cream cheese smeared in between two slices of banana bread) have been the answer to a lot of questions for me lately. Q:What should I do with these spotty bananas? I just bought them a few days ago, but evidently people weren’t into them this week and I don’t want to waste them. Q: What should I make for a goody to take to church Sunday morning…something that I can make the night before? Q:What should I serve at a brunch I’m hosting that will be pretty and a little different but universally liked? Q: Our office is having a mid-morning meeting and we were asked to bring snack foods– what should I contribute? Bake at 325 degrees for 20 minutes or more, depending on the size of your pans. You can also make one large loaf. Test with toothpick for doneness. Allow them to cool for a few minutes in the pan and then using a knife, gently pull it from the edges. Then remove from pan. If you want them sweeter, you can add confectioner’s sugar to taste, OR you can just use the cream cheese as is. Slice the bread very thinly- since they will be eating 2 slices at the same time for the sandwich. Gently spread cream cheese on the bread and place pieces together. If you already have a banana bread recipe that you are married to, but have never tried slicing pieces thinly and spreading cream cheese between, you should give it a try. 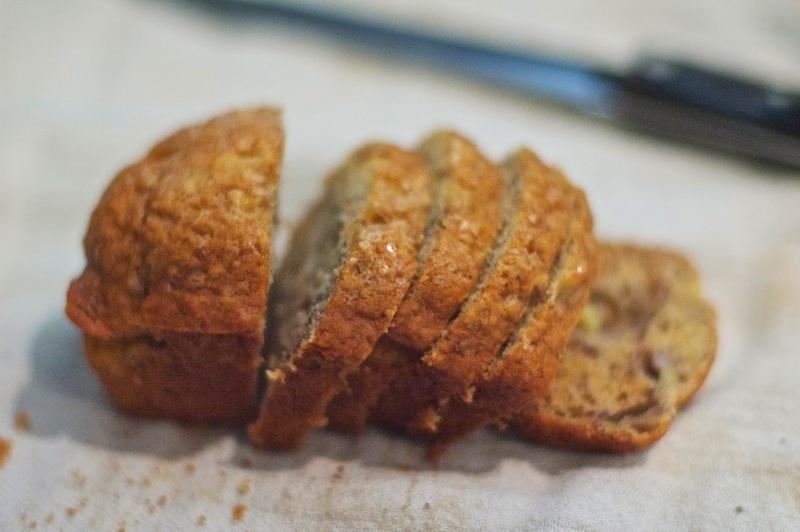 If you haven’t already committed life-long to a banana bread recipe, you should give my mom’s recipe a try. It is just so consistently delicious. I was making it last week for church and realized I was out of butter (a terrible moment in my kitchen). I had just made dinner for some friends which included quick sour cream biscuits and oatmeal raspberry bars, so I had used up all the remaining sticks of butter the night before, without realizing it. I didn’t have the time or the will to pack up the kids and go to the grocery early Sunday morning. So I decided to try using Coconut Oil. It was my first time to try it in this recipe. It worked beautifully. I might just switch! It made the bread a little richer, with a hint of coconut flavor, and a little more crusty on the top. And remember you can always freeze bananas that are looking too ripe to eat. 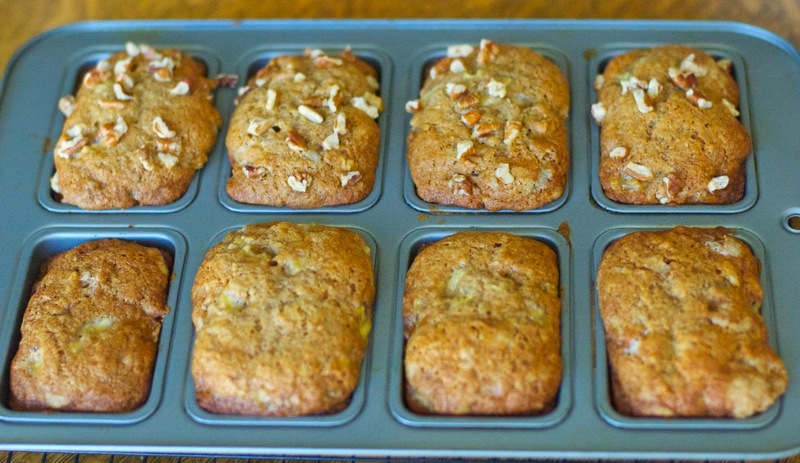 If you don’t have time to make banana bread that very day. Make sure you peel them first and put them in ziplock bags. You can put 3 in a bag, and you’ll have what you need to make a batch. Just thaw them when you are ready to use. They look gross and slimy but they work great. So, for some questions you are asking this recipe might be the answer you are seeking. For the rest of the questions I recommend you look to Google, your mom (or dear friend), or The Bible. I have found that most other answers are found there. Abbey, I'm so glad it was a success! Yay! 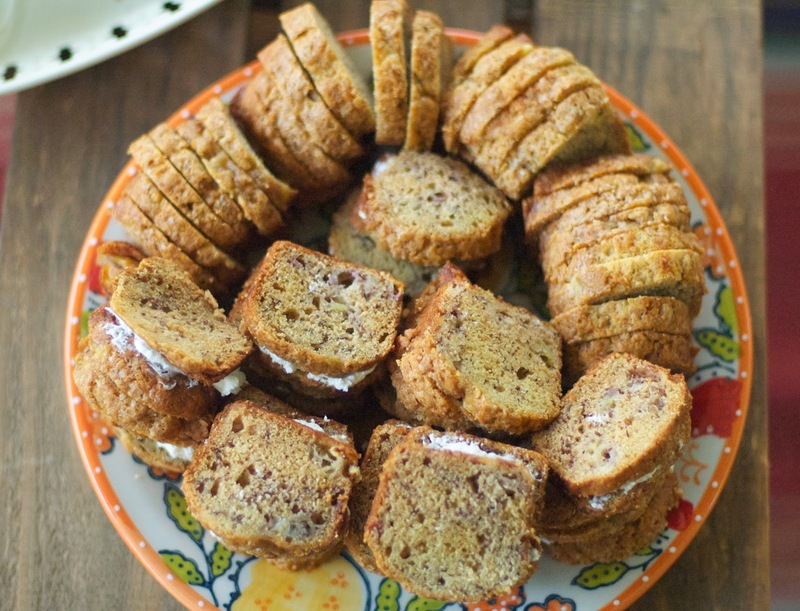 Yes, I too like a banana bread chock-full of bananas!